September 2018 – “Heels of Success,” the new Finance ‘n Stilettos podcast series, will promote pressing money matters to smart, savvy women. On a bimonthly basis beginning Sunday, September 30th, Certified Financial Planner and author Zaneilia Harris will share her take on financial lessons that debunk the typical messages surrounding women and money. Harris intends to transform the usual dialogue through creating candid conversations with career-minded women open to revealing their own life lessons and personal money tips. Money is power. Understanding your money gives you choices. 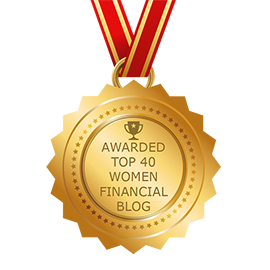 Harris feels the best confidence builder for females is through gaining valuable insights from other women surrounding their financial success. At some point in a woman’s life, she will be tasked with managing money — be it her personal account, a family budget or her own retirement savings. Yet many women still feel uncomfortable discussing finances even amongst their girlfriends. The “Heels of Success” podcast will feature money-related lessons from professional females of all ages and ethnicities, with a specific focus on African-American women. As a black female financial advisor, “Financial education for black women gives us tools so we can build a financial legacy within our families and communities,” says Harris. Harris is a financial advisor, educator, blogger, CERTIFIED FINANCIAL PLANNER™ and member of the CNBC Financial Advisor Council. The author of Finance ‘n Stilettos: Money Matters for the Well-Heeled Woman, she is passionate about increasing financial education and sharing her expertise with women so they can become financially savvy. With expertise covering more than 25 years in the industry, Harris has worked with numerous high-profile organizations including Merrill Lynch, Edward Jones Investments, PricewaterhouseCoopers and the Nasdaq Stock Market. Based in Washington, D.C., Harris & Harris Wealth Management Group is a minority owned boutique financial advisory firm focused on educating and supporting professional women building and transferring personal wealth. Operating under the belief that in order to impact a community you must first empower its women, the firm’s goal is to help clients achieve financial success by guiding them through major life-changing events such as marriage, divorce, widowhood, career transitions, and retirement. Nice look! I want to be a guest!! Definitely, I would love to have you!